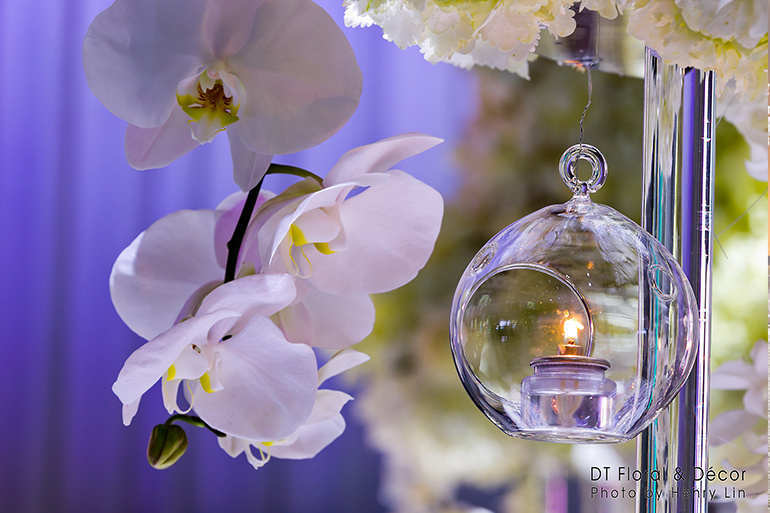 Photo by 424U Photo & Video, Henry Lin. 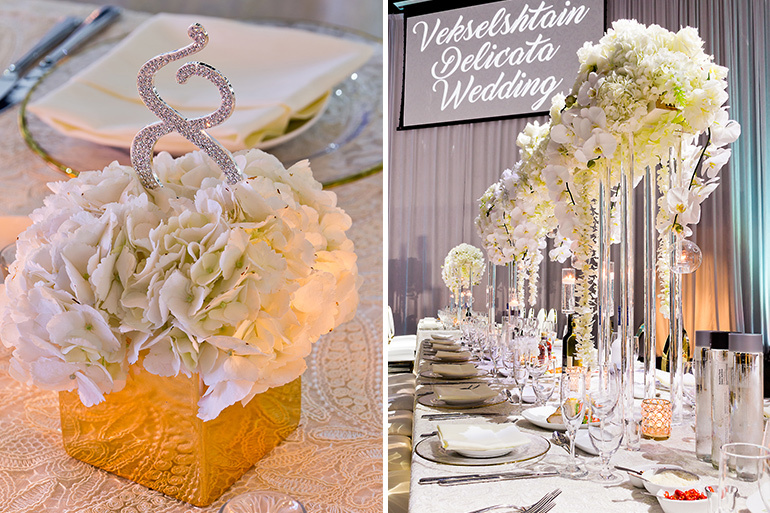 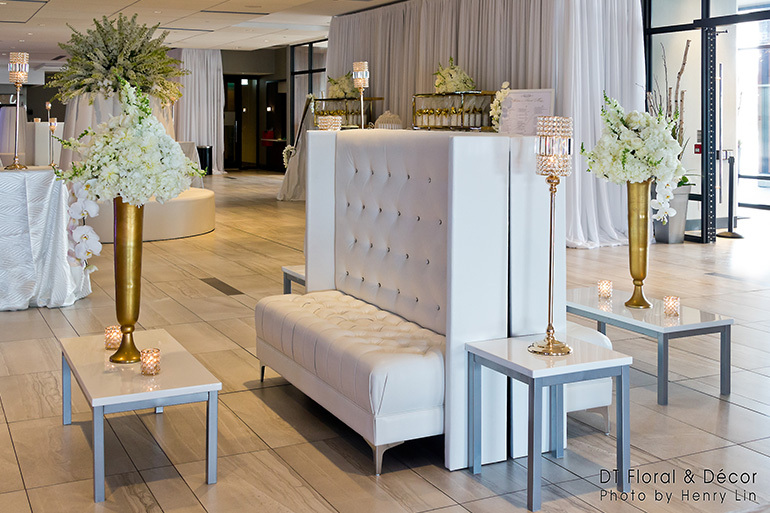 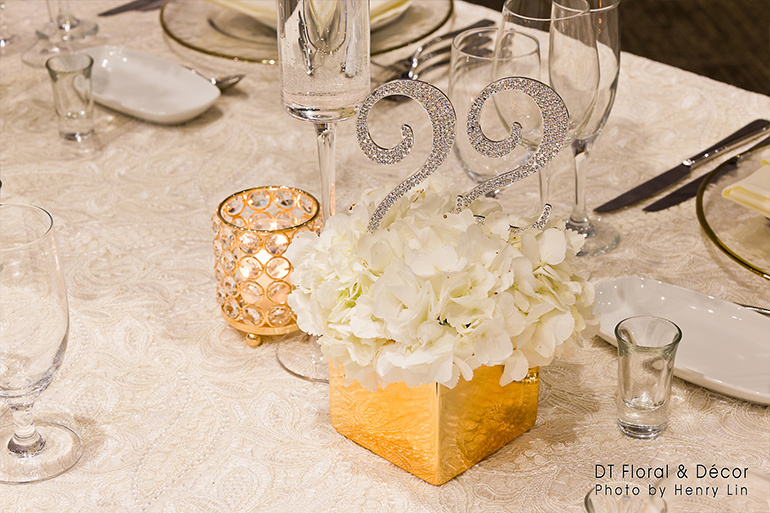 Fab Fete Event Planning Boutique collaborated with the amazing team at DT Floral and Decor to design this lavish and opulent white and gold wedding for one very lucky couple. 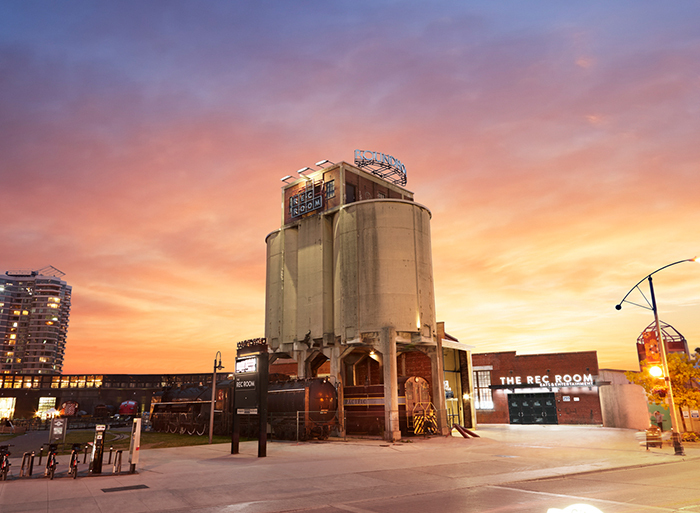 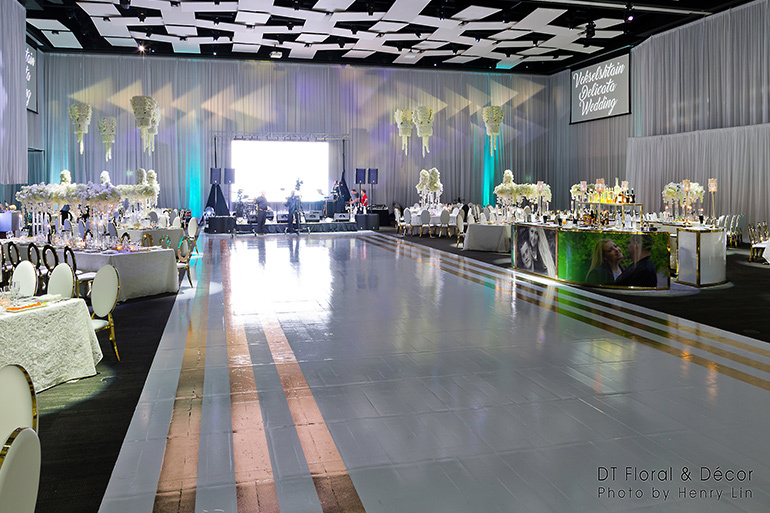 Having only one week from concept to execution to create this masterpiece Craig and his team worked round the clock to deliver perfection and ensure Alex & Mario had the wedding they always imagined. 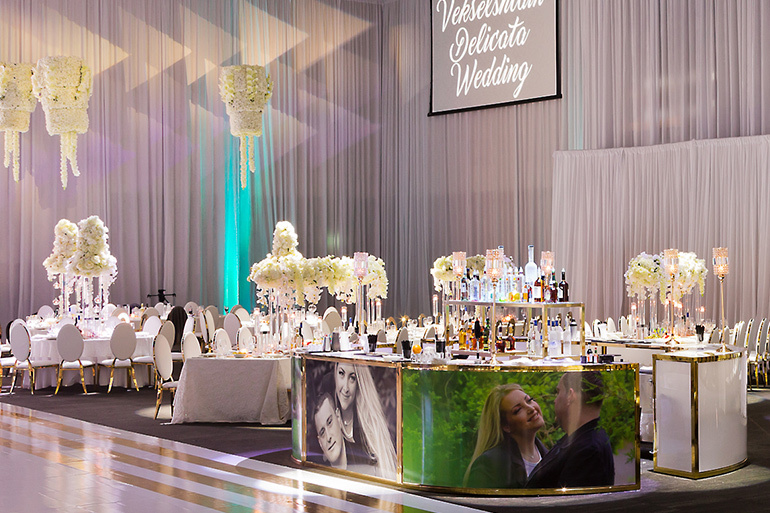 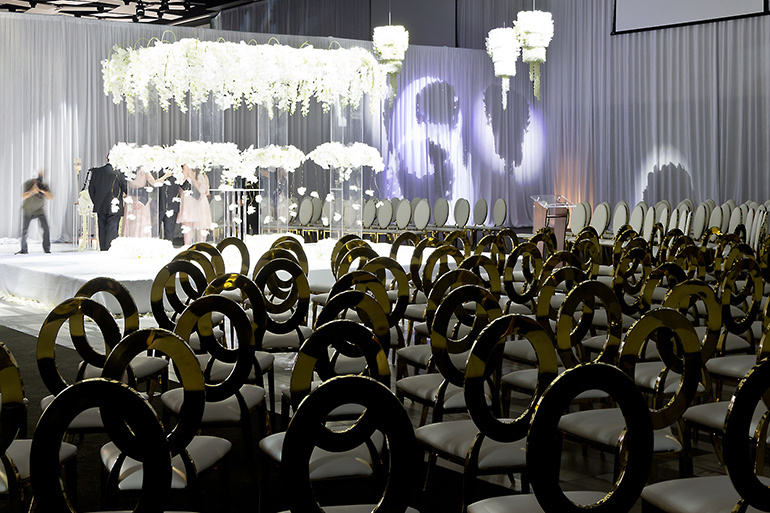 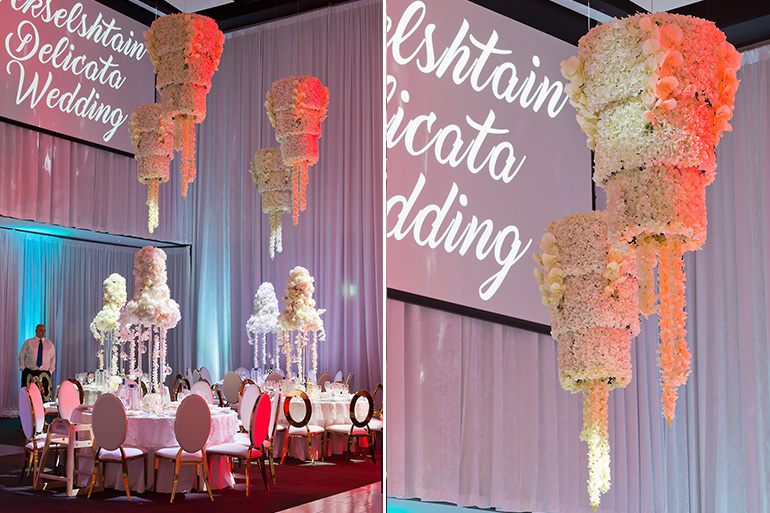 The moment guests walked into the Universal Event Space the reaction was simply “awestruck”. 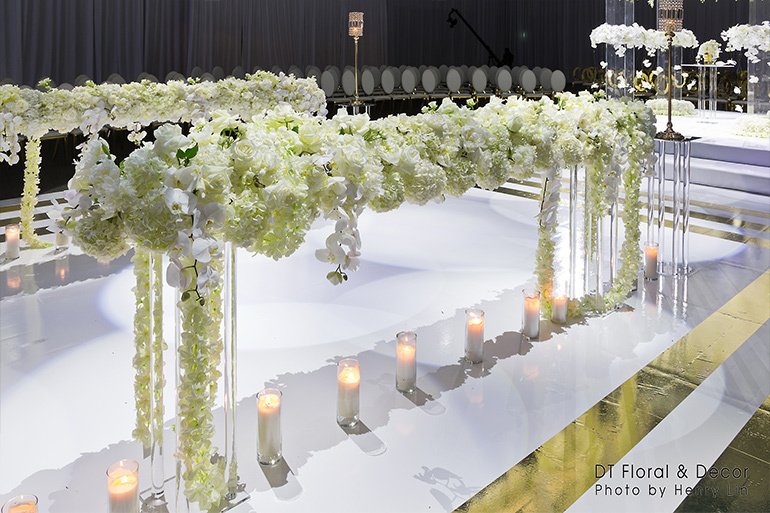 For the ceremony, the aisle was lined with clear pillars with stunning rectangular florals with glowing candles resting atop of the bases. 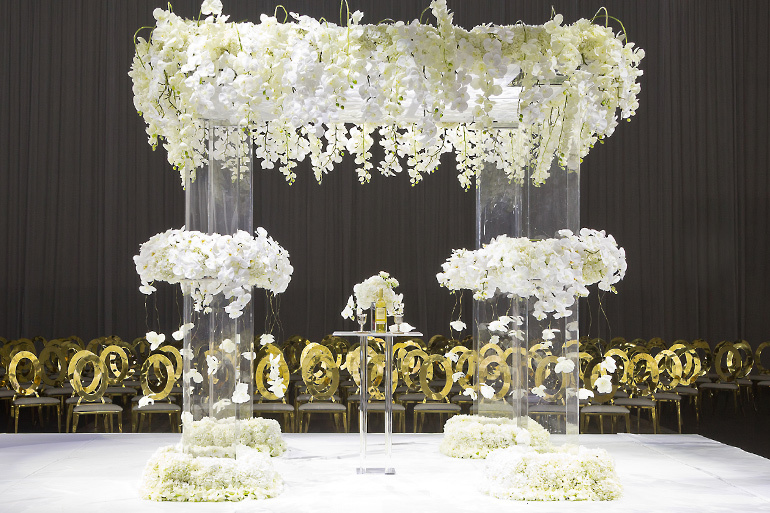 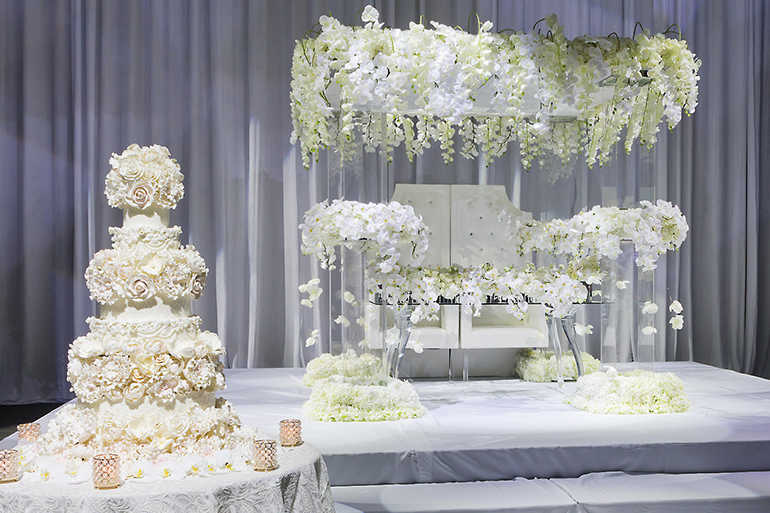 A custom-made Lucite Chuppah was covered with white orchids and hydrangeas and strategically placed in the center of the room to showcase the couple from all angles as they exchanged vows. 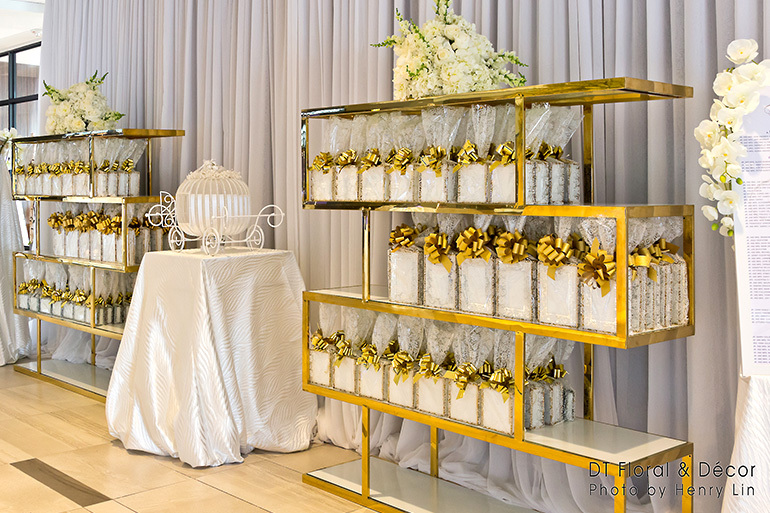 From the ceremony, wedding guests headed into the cocktail space designed with sparkling white furniture and impressive amounts of gold crystal stands with candles and unique florals. 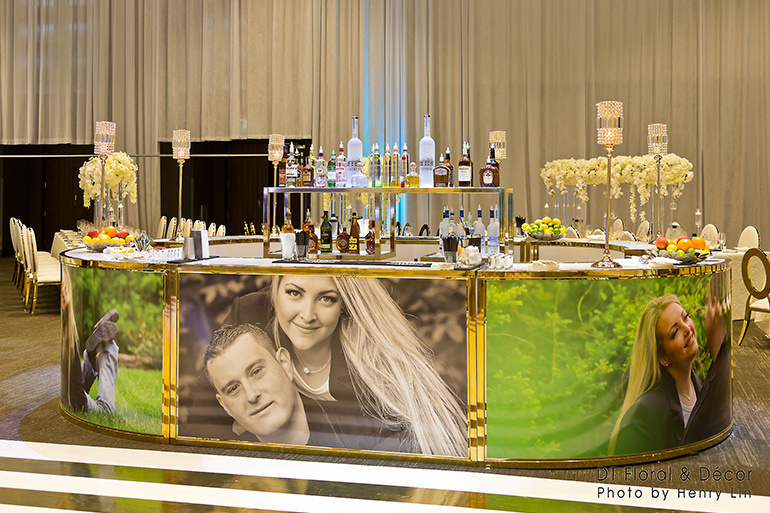 The main ballroom featured stunning chandeliers over every table, a gold-trimmed dance floor and a custom monogrammed bar with a photo of the newlyweds incorporated into the design. 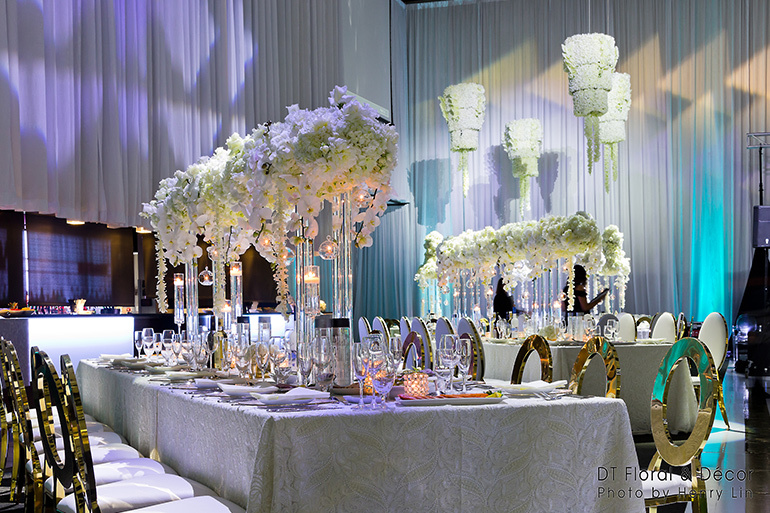 Each table was covered in Chantilly lace linen, floral centerpieces and gold Belmont charger plates. 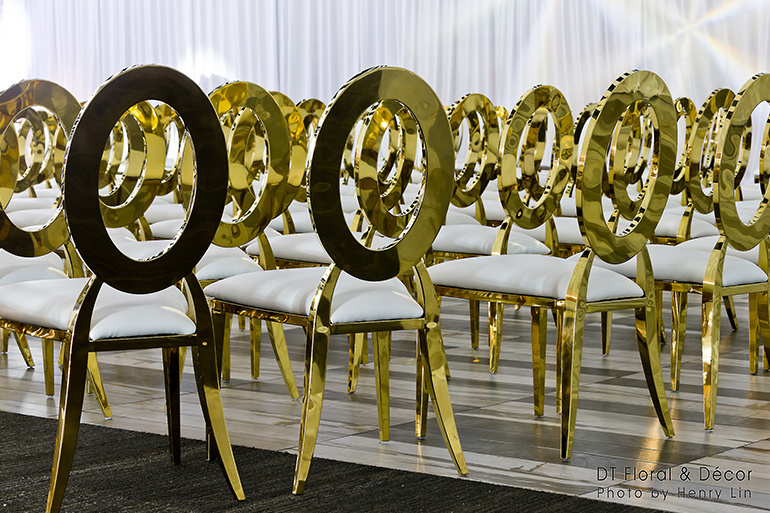 The seating included a mixture of Cartier and Aria style chairs. 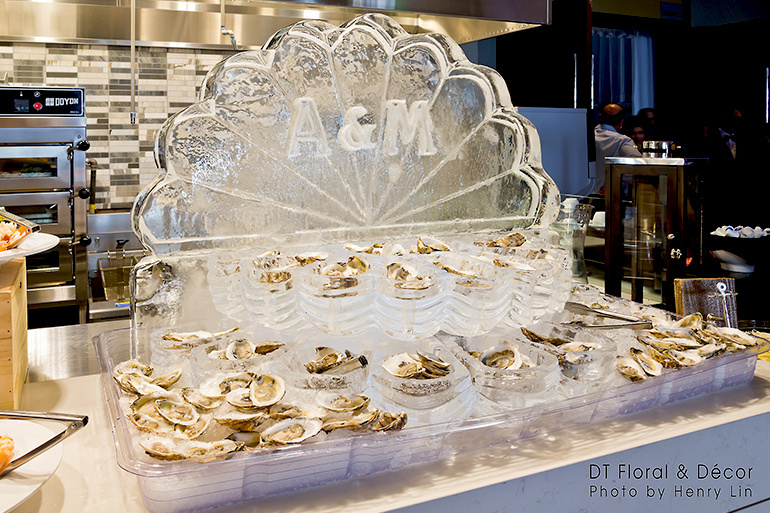 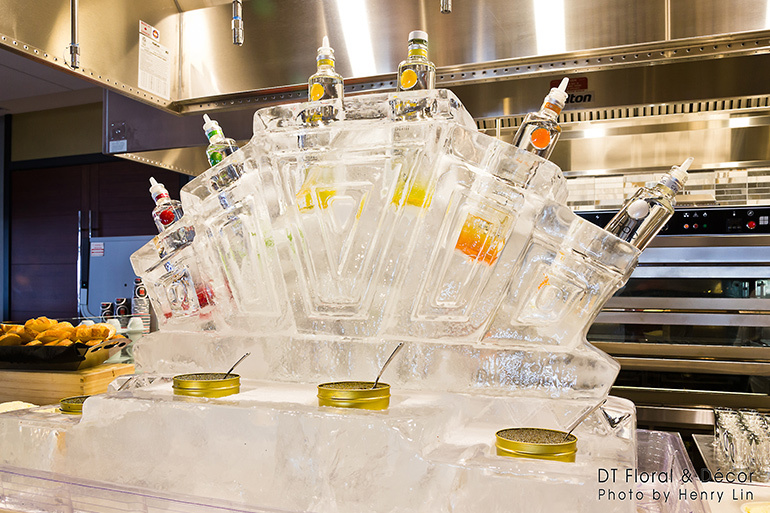 DT designed ice sculptures for the couple’s special Ciroc bottle and Oyster bars. 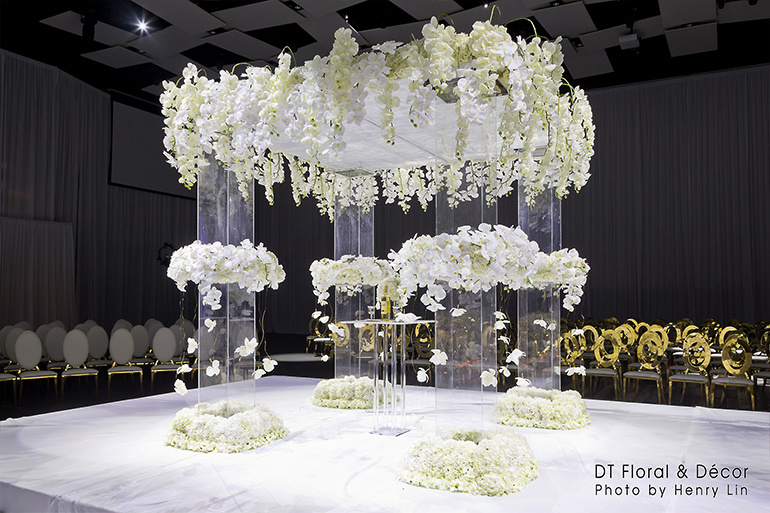 Even with the short window to develop and execute this event, DT Floral and Decor created a brilliant spectacle for this special couple. 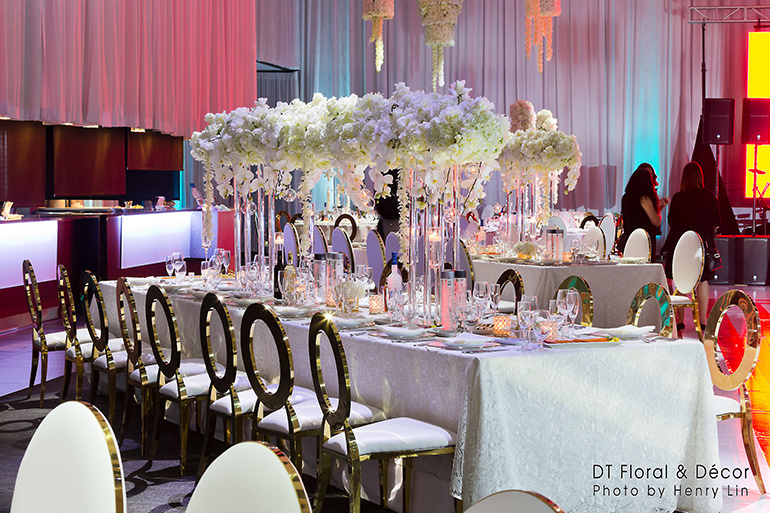 Craig Gruzd, Founder and Creative Director of DT Floral & Decor Inc. 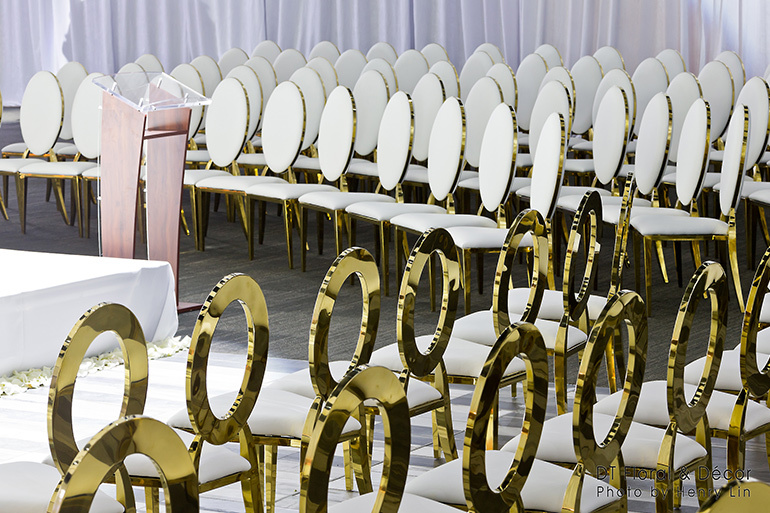 The deadline to enter your 2017 events and projects into the Canadian Event Industry Awards National competition is February 11, 2018. 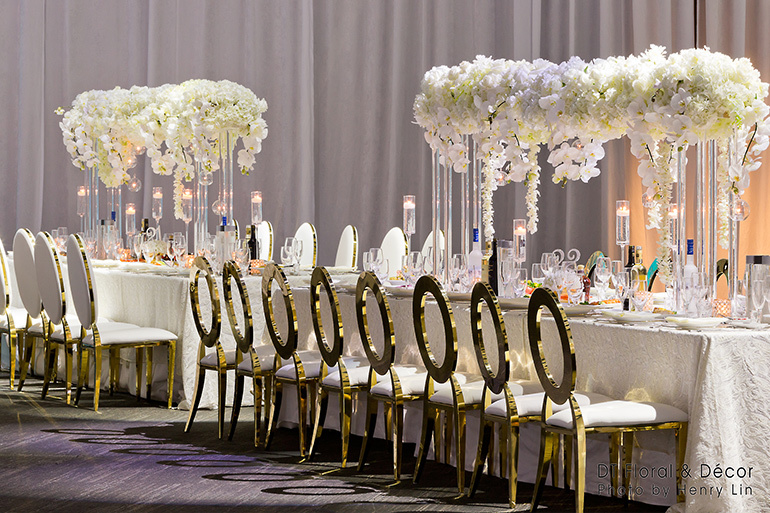 The grand prize is a $25,000 ad bank, plus all award winners are featured in a special edition of Canadian Special Events Magazine and shared to CSE’s +21,000 social media followers. 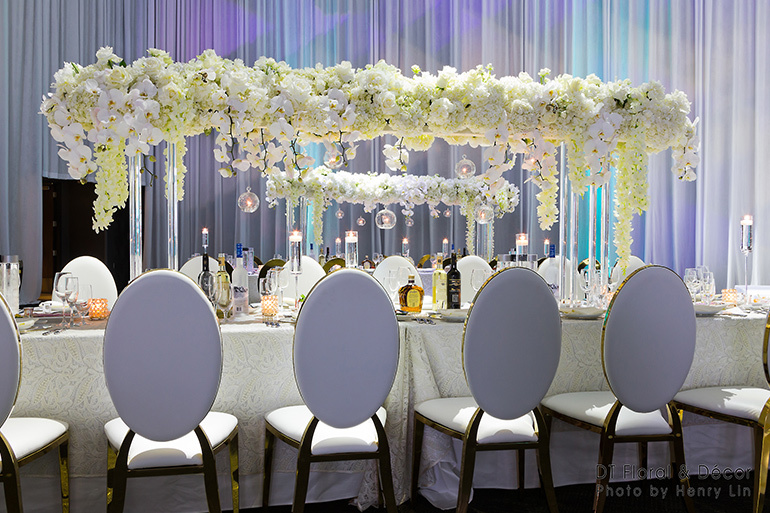 Learn more and enter at www.canadianeventindustryawards.com.